Merck KGaA reported a 16% year-on-year growth for its MilliporeSigma Process Solutions business and expects continued strong demand from biomanufacturers to drive high single-digits in the long-term. 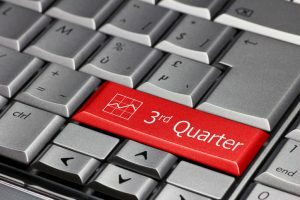 “Thank you sir, can we have another (Q like this one),” Evercore ISI analyst Luke Sergott wrote in an note describing German Merck’s third quarter 2018. While group sales grew 6.6% year-on-year to €3.7 billion ($4.2 billion), it was the life sciences MilliporeSigma division which really shone. The Process Solutions business unit grew 16.3% organically to €619 million, attributed by the firm to sustained strong demand from biopharmaceutical manufacturing. The robust third quarter was helped by a low base in Q3 2017, but looking at the mid to long-term perspective, Batra said he expects high single-digit. MilliporeSigma’s results fall in line with some of the other bioprocessing vendors’ Q3s. Pall and Sartorius both reported robust quarters, while Thermo Fisher’s services business grew 28% year-on-year thanks to the addition of CDMO Patheon. Adding more detail, Batra told stakeholders the growth is coming from a mix of hardware replacements, consumables sales coming through, and sales in downstream processing. He added the firm continues to introduce new single-use products and alluded to the recently launched Pellicon Single-Pass Tangential Flow Filtration (TFF).